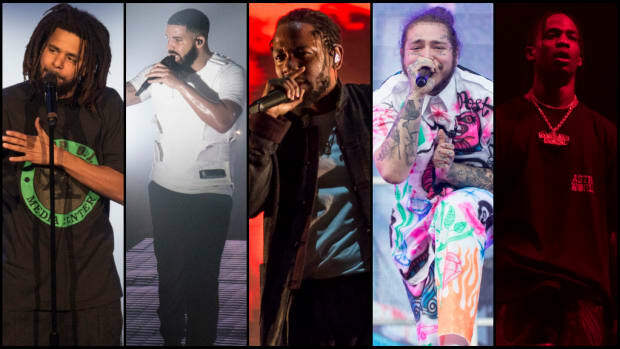 As Spotify continues to dominate the streaming landscape, the platform has become useful as a tool to measure an artist’s buzz and relevance, as we recently detailed with hip-hop’s limited representation in Spotify’s Top 100 Songs. 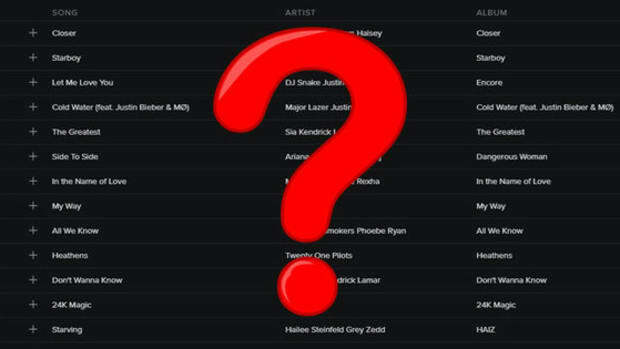 The streaming behemoth recently released their annual 25 Under 25 list, which aggregates data from Spotify’s algorithms like streams per month, genre popularity, and placements on Spotify’s “top” playlists. 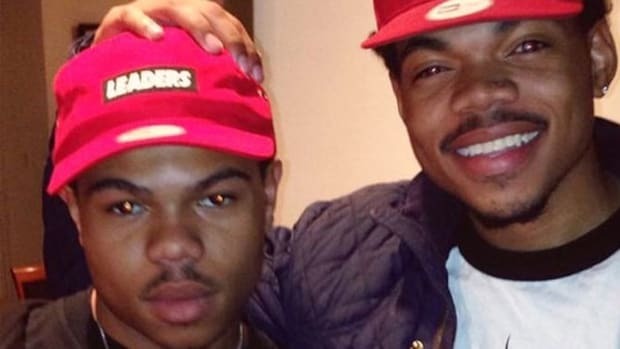 While there were a few breakout rap artists who made the cut—including Chance The Rapper at No. 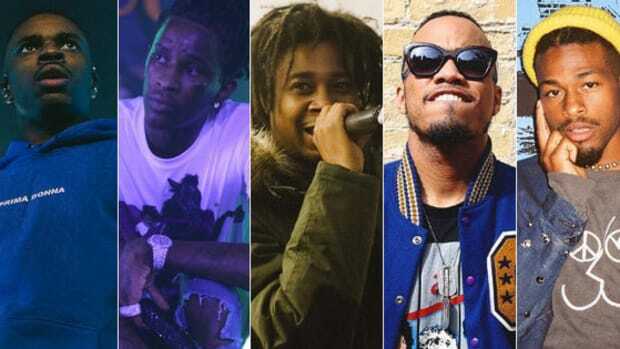 3, as well as Desiigner, Tory Lanez and Rae Sremmurd—since Spotify’s list aggregates from all genres, again, hip-hop’s presence was limited. 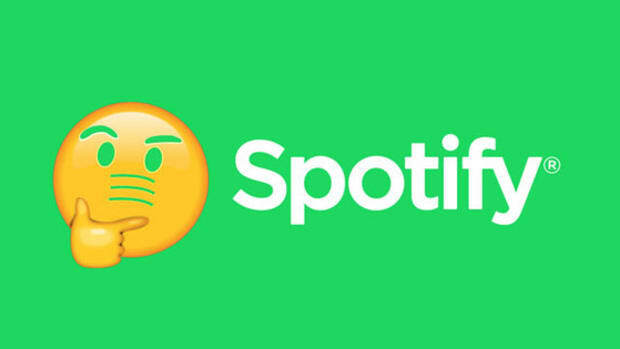 With that in mind, we’ve chosen 10 artists under the age of 25 that we believe fit the bill for Spotify’s list, based on a combination of social media power (an aggregate of Facebook, Twitter, and Instagram), YouTube high-water mark for video views, and the unbiased opinion of our entire editorial staff. Travis Scott’s career has been bubbling to the point of eruption for the last few years, but in 2016 Scott cemented himself as a legitimate rap superstar. Following a No. 3 Billboard debut (Rodeo) in 2015, and an absolute smash in “Antidote," Travis’ sophomore album Birds In The Trap Sing McKnight debuted at No. 1 in September, with the Gold-certified, Young Thug-assisted hit “Pick Up The Phone” in tow. 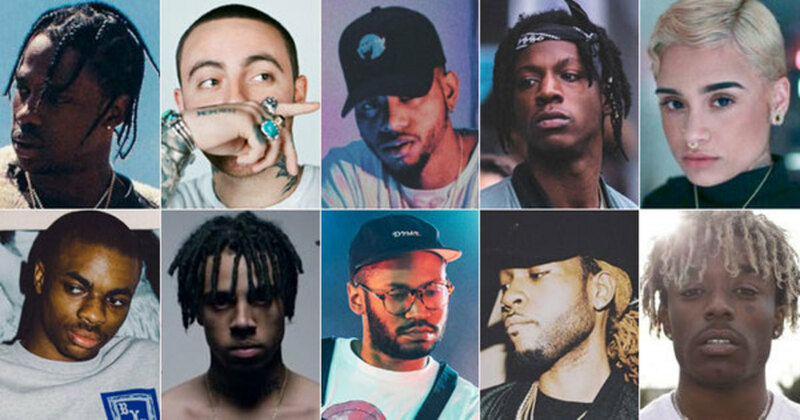 Although Bryson Tiller’s debut project T R A P S O U L dropped last year, the young Louisville crooner has experienced a steady rise to stardom throughout 2016 (along with a Platinum plaque for his first album). Not only did Tiller win Best New Artist and Best Male R&B/Pop Artist at the BET Awards this year, he was also given the key to his hometown and honored with his own day, “Bryson Tiller Day.” Add to that major radio success with “Don’t” and some key placements on charting albums from DJ Khaled and Travis Scott, and it becomes clear that Tiller&apos;s astonishingly quick rise to stardom is just the start. What Vince might lack in social media reach, he more than makes up for in personality and impact. This summer, the 23-year-old Long Beach emcee dropped his Prima Donna EP, which peaked at No. 50 on the Billboard Top 200 and follows last year&apos;s critically acclaimed debut Summertime &apos;06, each a victory in Vince’s relatively new, but nonetheless potent, rise to fame. After years of amassing a following through his involvement in Kids These Days and as a solo artist, over the past year Vic Mensa has made the transition from underground favorite to big league prospect after a handful of collaborations with Kanye West and his signing with Jay Z’s Roc Nation imprint. His 2016 EP, There’s Alot Going On, arguably the most impressive collection of songs in his young career, peaked at No. 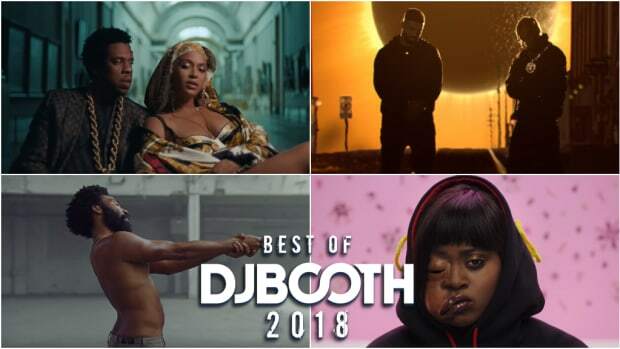 1 on Billboard’s Top Heatseekers Albums and has recently made headlines thanks to standout selection “16 Shots” and its powerful accompanying visuals. The heights Kehlani has reached in 2016 have been five years in the making. Formerly a member of America’s Got Talent-hopeful group PopLyfe, the R&B singer/songwriter went solo in 2013 and has never looked back. After the success of her 2015 mixtape You Should Be Here, Kehlani doubled up in 2016 with a GRAMMY nod for Best Urban Contemporary Album for that project, as well as a placement on the Suicide Squad soundtrack. The sky&apos;s the limit for the Atlantic Records signee in 2017. The artist formerly known as Kaytradamus released his long-awaited full-length debut 99.9% through XL Recordings this year, which peaked at No. 2 on Billboard’s Dance/Electronic chart and garnered universal acclaim. 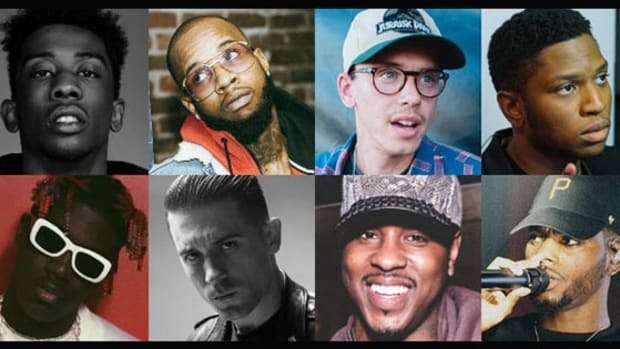 Featuring a who’s who of underground favorites—Vic Mensa, Anderson .Paak and BadBadNotGood all appear on the album—99.9% cemented the producer/DJ as an artist with huge crossover potential and snagged the Canadian producer a Polaris Music Prize. Since signing with Drake’s OVO imprint in 2013, PARTYNEXTDOOR’s buzz has increased exponentially. Three years of hard work and steadily increasing his fanbase helped 2016&apos;s P3, a project that received generally favorable reviews, to debut at No. 3 on Billboard. His position as part of the OVO powerhouse has certainly helped to boost his profile, especially with multiple writing credits and a guest feature on the biggest album of the year in Drake&apos;s VIEWS, but it&apos;s fair to wonder how far his influence has spread over his label head. PND earned his first No. 1 single as a songwriter this year with Rihanna&apos;s "Work," and with recent production credits on Big Sean&apos;s Dark Sky Paradise and Usher&apos;s Hard II Love, he&apos;s proving to be a man of multiple talents. 2016 XXL Freshman Lil Uzi Vert has truly capitalized on his rise to fame with two well-received mixtape releases this year, lots of blog love, a stacked touring schedule, and even a recent Jordan commercial spot. 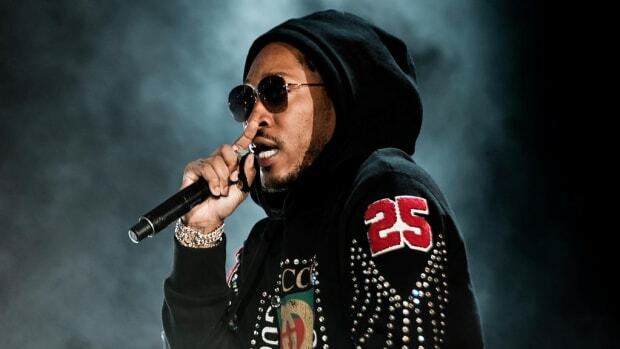 His "Money Longer" single was recently certified Gold, and just this year he&apos;s collaborated with the likes of Future, Wiz Khalifa, Fabolous, A$AP Ferg and more. As one of the main figures lumped into the “mumble rap” movement, Lil Uzi certainly has his detractors, yet the Philly native continues to be a champion of the youth and hip-hop&apos;s "next wave," and has amassed a huge, dedicated social media presence considering he’s yet to drop a proper studio album. Both artists and behind-the-scenes heroes made Forbes’ elite list of young movers.